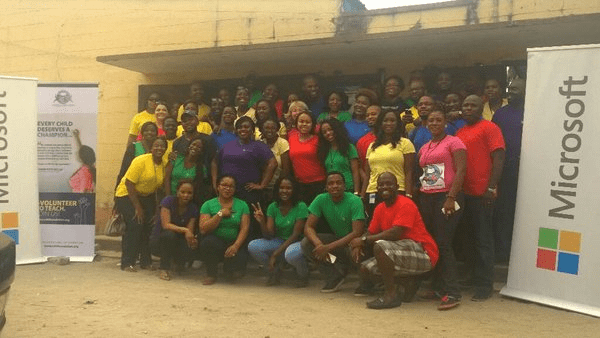 Microsoft Nigeria went out of it’s way to show love during the season of love with the Act of Kindness program. 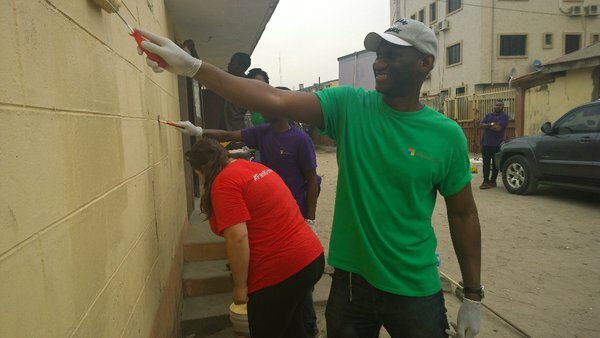 The employees of Microsoft Nigeria spent a whole day with students of the Jinadu Anglican Primary School, Ikoyi, Lagos where they taught students and painted the school walls. The team believes Microsoft’s goal is to enable, empower and inspire people and organizations to do more and that was exactly what they set out to do with their Act of Kindness during the valentine season of love. Microsoft Nigeria partnered with United For Education Foundation and TechCity to show love. Microsoft’s partnership with United for Education Foundation’s, Teach for Change program has already seen them provide volunteers for four other schools in Lagos State. Kabelo Makwane, Managing Director at Microsoft Nigeria said the children have been touched and we’ve given them a new sense of perspective and they’ll one day do great things and achieve more. You can check out more photos from of the event by searching the hashtag #ActOfKindnessMicrosoft on social media. Did you participate in the Act of Kindness or did you show any kind of Microsoft kindness this valentines day, kindly share with us in the comments.